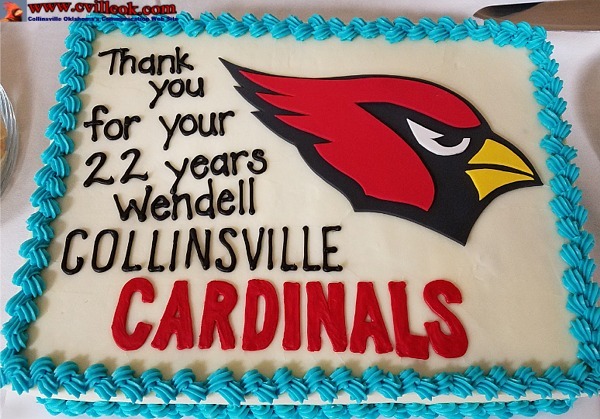 Wendell Johnson leaves the Collinsville School Board after 22 years. 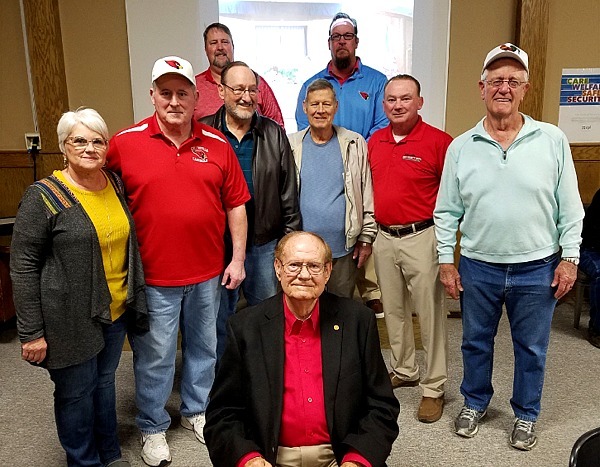 Wendell Johnson (seated center) was joined in this photo by current and former board members. 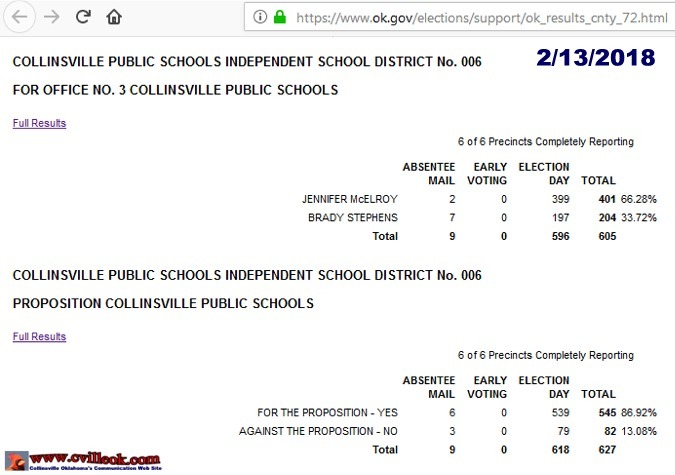 Feb. 13, 2018 school election. 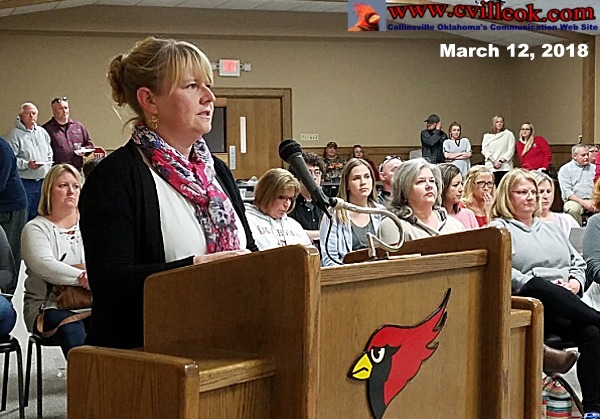 She was sworn in and took her place at the March 12th board meet. 6. 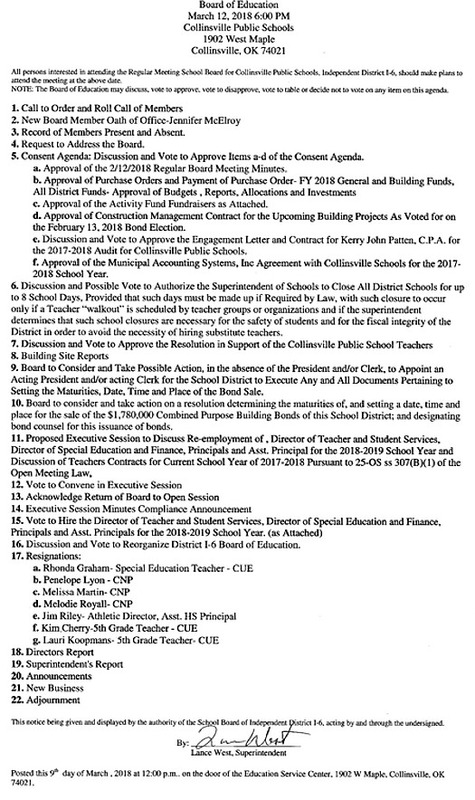 Approved authorization to close school for up to 8 days if teachers walk out. 7. 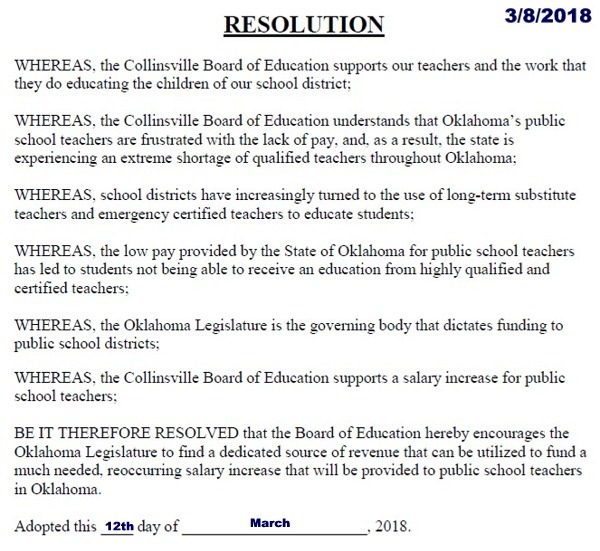 Approved a resolution in support of Collinsville teachers. -- CHS/Kiker: lost 2 teachers to oil & gas industry in past month. -- CHS student Will Boyer addressed the board and the many teachers in attendance. His topic was that students "were not communicated with" on the seriousness of the crisis in Oklahoma education underfunding (until recently). 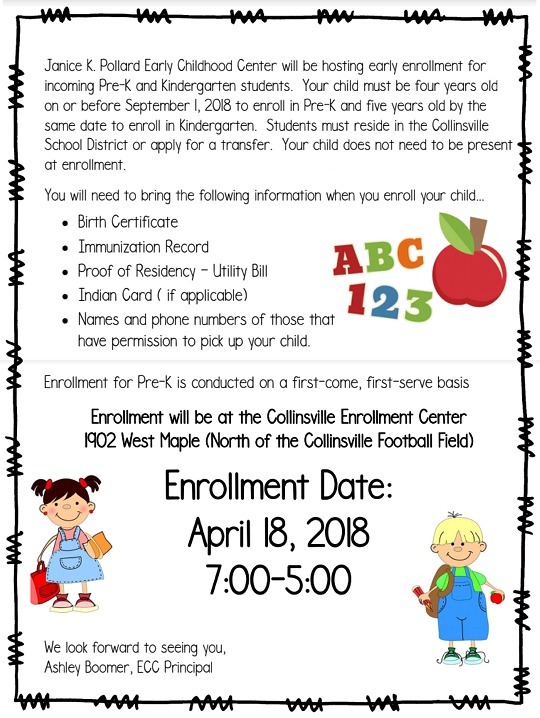 -- ECC/Boomer: April 17th McTeacher NIght, April 18 Pre-K enrollment, teacher stressed over uncertainty for their students with walk out, Carol Ann Sallee spoke for the teachers.